Ranking with Stagecoach as one of the greatest of its genre, The Man Who Shot Liberty Valance is the modern-day western to beat all westerns. 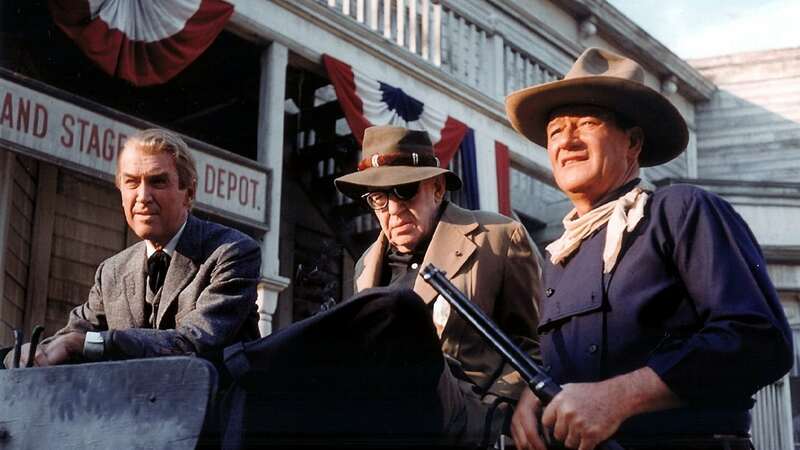 John Ford, whose very name is synonymous with "westerns," directed the ideal cast. 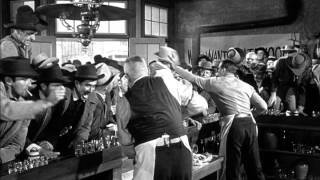 Jimmy Stewart plays the bungling but charming big-city lawyer determined to rid the fair village of Shinbone of its number one nuisance and bad man: Liberty Valance (Lee Marvin). And as if all that weren't enough, the biggest star that ever aimed a six-shooter plays the Man of the title: John Wayne. Super sincere Stewart and rugged rancher Wayne also share the same love interest (Vera Miles). One gets the gunman, but the other gets the gal.